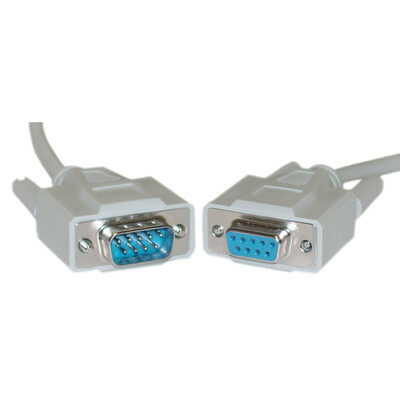 Fully shielded 9-pin serial cable; also can be used for monochrome or CGA/EGA monitor cable extention. More Product InfoOur 50 foot high quality serial extension cable features molded connectors and gold plated contacts for superior corrosion resistance ensuring a solid connection for the life of the cable. This male to female 1:1 serial cable is solidly constructed, UL rated and RoHS Compliant.